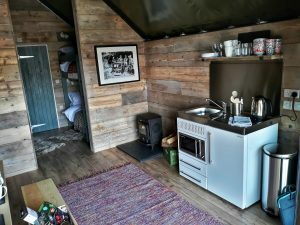 Official Opening for Luxury Glamping at the Slate Caverns – Llechwedd | News by Wales Express News, People Before Profit! 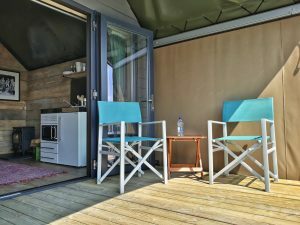 Sunny weather and spectacular views greeted guests on the outskirts of Blaenau Ffestiniog as work was completed on the first of six brand new luxury glamping lodges at The Slate Caverns. Invited guests from North Wales Tourism, Visit Wales, Gwynedd Council and more were treated to a first look at Wales’ newest accommodation, ideally placed within walking distance of the world famous Slate Caverns adventure hub, which features the Deep Mine Tour, Bounce Below, Zip World Titan and more. 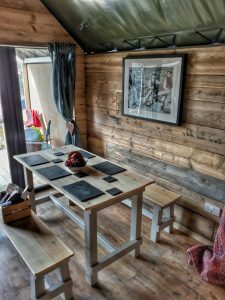 The accommodation has been designed and built by UK specialists Boldscan, who have been working with The Slate Caverns team to create unique luxury interiors. 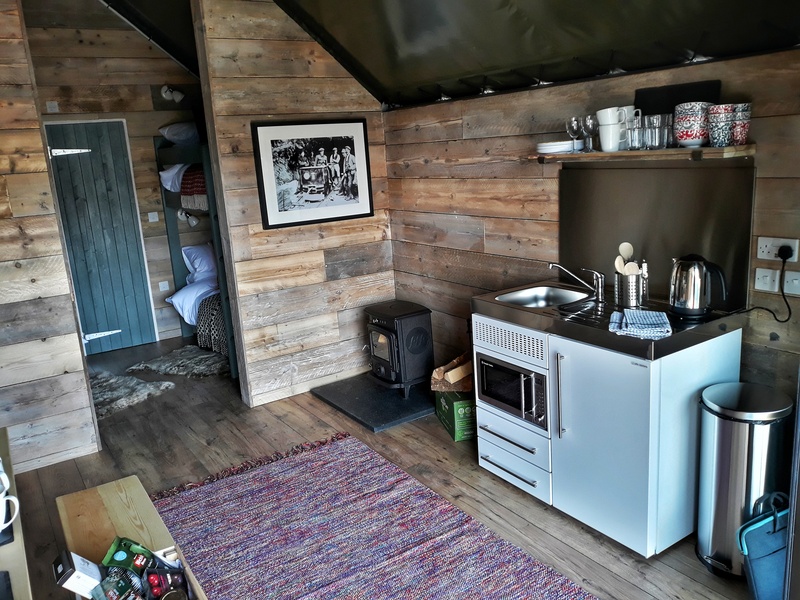 Each high-specification safari-style lodge features a king-size double bed and bunks, a comfortable indoor seating area and a wood burning stove with generous log supply. High quality bed linen is also supplied. bathrooms as well plenty of space, furnished outdoor veranda and communal barbecue area. The lodges will be mains electricity connected and supplied with hot water. Two of the lodges will be dog-friendly. 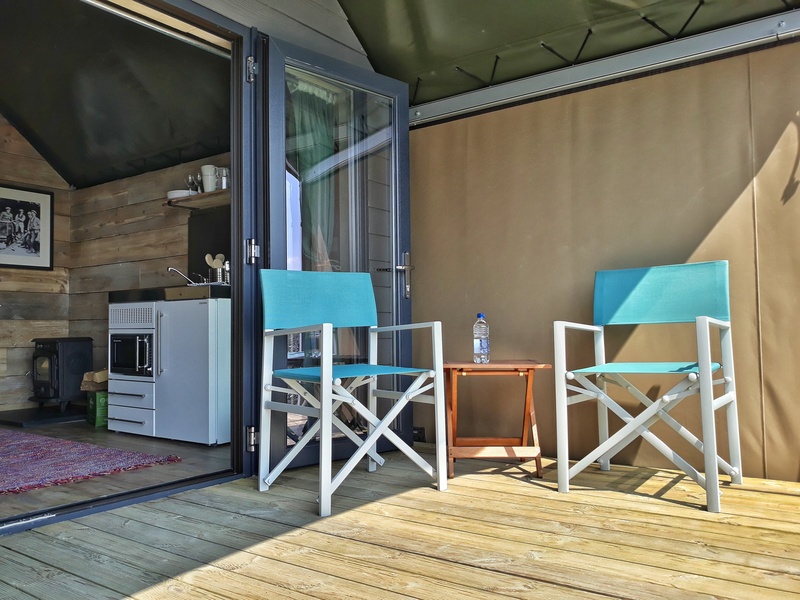 The remaining five lodges are expected to be completed by the end of the week, and offer breathtaking views across the site as well as along the Vale of Ffestiniog. Bookings are now being taken for the 2018 season, as well as for the week of the Wales Rally GB, which visits The Slate Caverns for the first time in October.